Chris G. Emanuel has a career that spans over 40 years with experience in corporate management, radio broadcasting and political consulting. From 2008 to 2012, through two statewide campaigns, Chris Emanuel traveled through North Carolina with political leaders as senior political director and built long-term statewide relationships in all 100 counties. Prior to launching The CG Emanuel Group, founder Chris Emanuel served U.S. Airways Inc. from 1967-2005, earning over 19,000 hours of national and international flight time. He rose through the ranks as an international captain, management pilot, and later as a corporate executive. 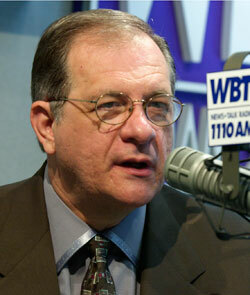 Emanuel is also well known for his nationally syndicated radio show on WBT radi0 in Charlotte from 2001 through 2004. Since its inception, the CG Emanuel Group has establishment a reputation of excellence in the areas of energy exploration, environmental & industrial services, unmanned aircraft, and other technology-oriented fields important to bringing high tech jobs to North Carolina.